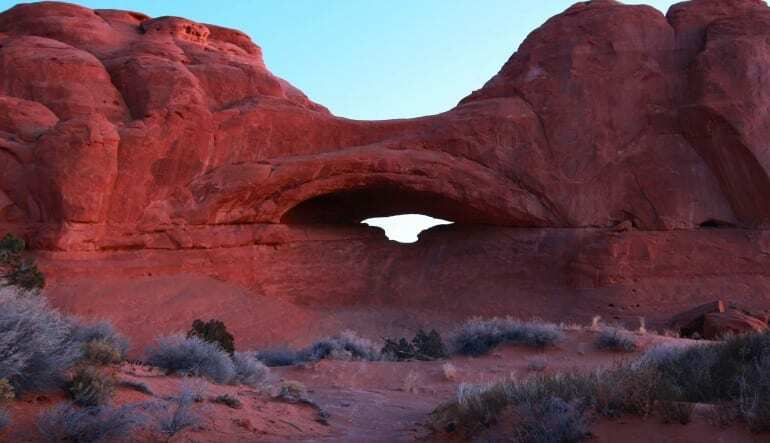 Cruise the trails of Arches National Park in a 4x4 vehicle where you will discover historic red rock landforms first hand. 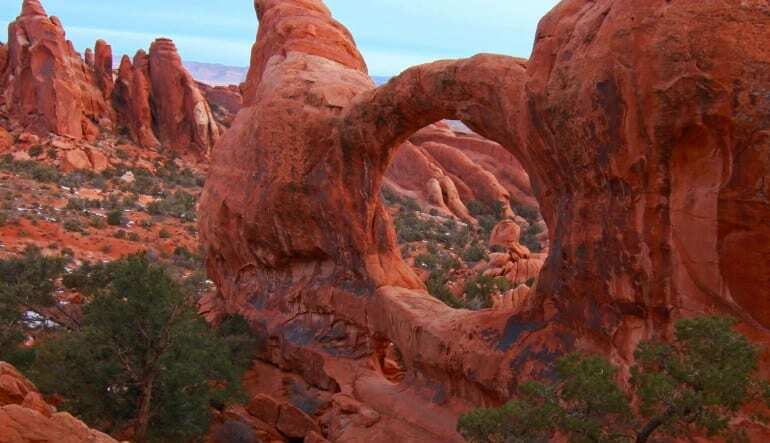 Cruise the trails of Arches National Park in a 4x4 vehicle where you will discover historic red rock landforms first hand. This vast valley stretches as far as the eye can see and is filled with unique rock formations, hidden trails and signs of ancient life. 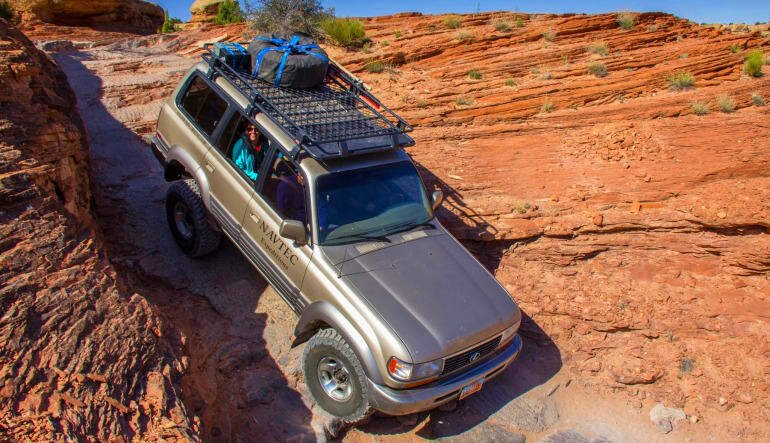 The 4x4 tour will start near Doc Williams Point, from there your vehicle will slowly climb up a steep rock wall crossing a valley while trekking through sandstone fins and dunes. Get your camera ready because views of the Marching Men, Tower Arch and the Eye of the Whale make for amazing photo opportunities. 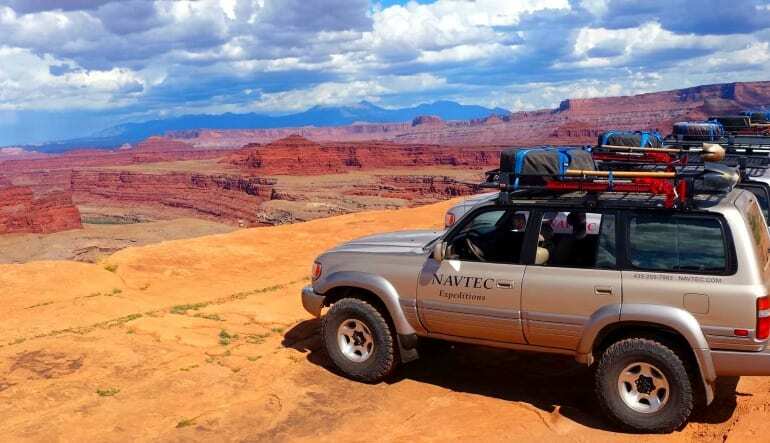 The last scenic gem of the tour includes witnessing ancient dinosaur tracks before heading back to Moab. Rocky was an outstanding guide. He was very accommodating and knowledgable about geology and the area. It was a GREAT trip and I would highly recommend it to anyone.